Mufeed Ahmed at a #StartupTweetup organized by Doha Tweetups. Doha Tweetups is an online community that regularly hosts offline events with the basic purpose of networking and bringing people together in Qatar. During such events, which are hosted at least once every month, members of the community hold three themed presentations, which have become known as a showcase of local talent in the region. Since its launch in 2010, more than 300 people have attended Doha Tweetups events. “We started as a community of social media users, but have grown to a strong presence in Qatar where brands, organizations and even diplomats use us to connect to the social media users of the country,” says Mufeed Ahmed, who, in 2010, joined the Doha Tweetups team, founded by Hani Arif and Bilal Randeree. “My part was mainly to bring strategic partners on board and monetize this as a social enterprise, which we successfully are now." A scene from a Doha Tweetups event. Image credit: Doha Tweetups on Facebook. 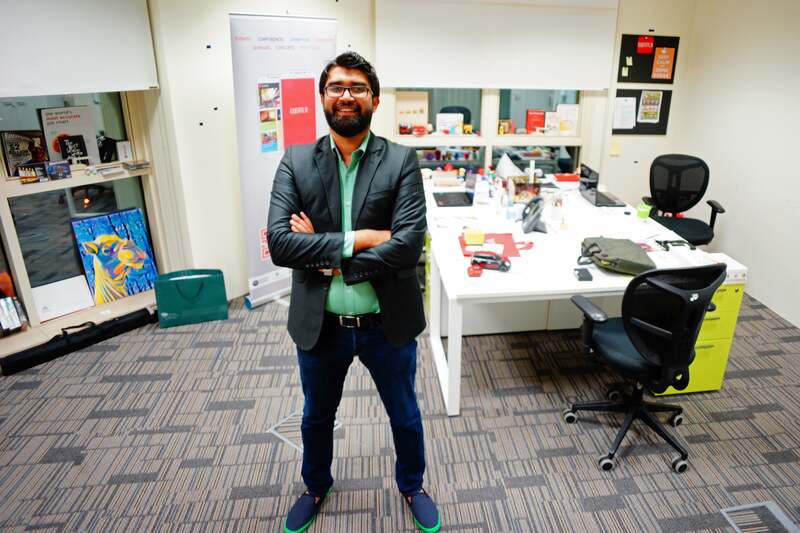 Ahmed, a Qatar-based tech entrepreneur, and co-founder of Evently, an events application startup incubated by the Ministry of Incubation and Communication Technology (ictQatar), also has a second startup. Catlogram, dedicated to design and develop brochures and catalogs, is incubated and funded by Qatar Business Incubation Centre (QBIC). 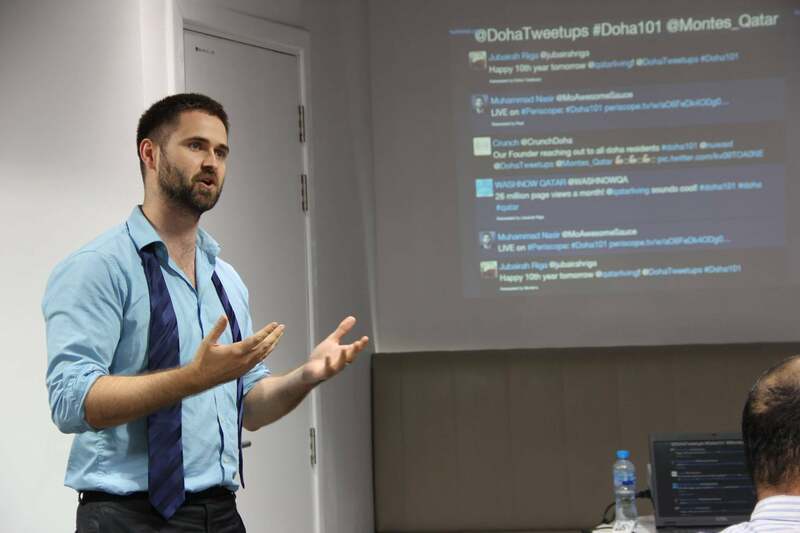 Apart from startups, Ahmed also handles strategic partnerships at Doha Tweetups, a social enterprise and a powerful media that is used by organizations, brands (and recently diplomats) to connect to the online community within Qatar. In addition, he also heads Qubicle, a web and mobile app development company at the Digital Incubation Centre, MICT Qatar. Mufeed Ahmed. Image credit: Doha Tweetups. 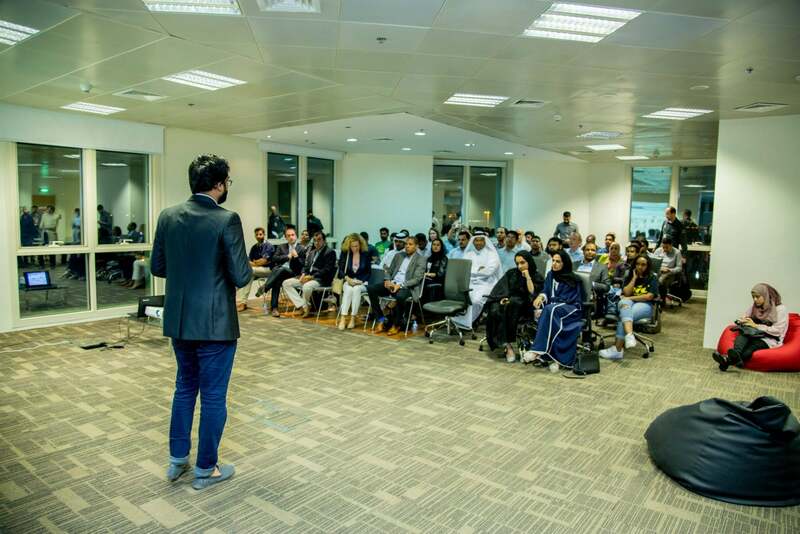 Given his many entrepreneurial endeavors, it should come as no surprise that his passion for technology and mobile won him and his team top positions twice at the Startup Weekend Doha. His team also earned third place for the Technology Most Beneficial to Users Award at the QSTP MIT Medicine Hackathon. Last year, Mufeed Ahmed received a recognition award for the best mentor by Shell and Qatar Development Bank, Chief Executive Officers. He is heavily involved with the entrepreneurial ecosystem in Qatar; mentoring technology startups and speaking about entrepreneurship and tech startups. Mufeed Ahmed speaking at a Doha Tweetups event. Image credit: Doha Tweetups on Facebook.